Achieve a flawless and streak-free finish like a professional makeup artist with these makeup applicator sponges! Get 6 pieces of these expandable sponges and you can achieve the beautiful skin of your dreams right at home, without going to an expensive makeup studio or a beauty parlor! 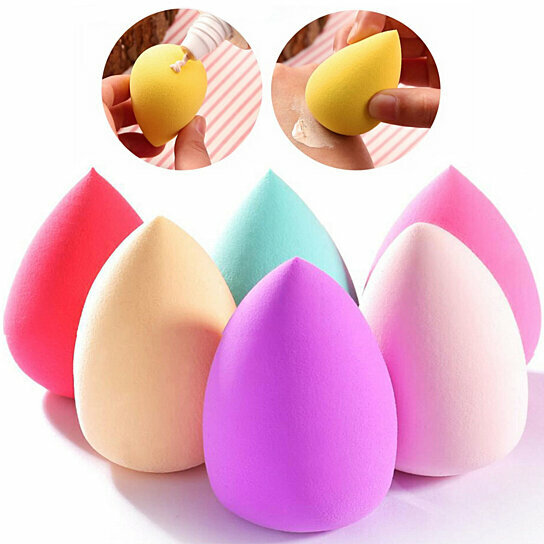 This makeup applicator sponge gives a flawless and smooth appearance to your face every time you use it. Just wet the sponge so it expands to give you a more smooth surface to work with...Then using a very little amount of beauty products like a primer, the right shade of foundation, and bronzer or blush, just blend, blend, blend! It will make your face glow with natural beauty and you are not wasting too much product either, as a little makeup goes a long way with these applicators! Simply rinse the sponge to clean it and it looks like new again! The sponge is made of a latex-free and lightweight Polyurethane. You can apply dry or wet makeup like a primer, foundation, blush, contour creme and blend it to get a flawless face each time you use this makeup applicator. You get all 6 pieces with each order. They come in beautiful and bright pastel and bold colors.